So as we all get ready for Thanksgiving this week we are looking at what we are going to serve. Some people love the leftovers as much as the main meal. What happens the day after Thanksgiving? A less inspired, guilt-laden version of the former…and usually served cold. Let’s bring some heat back with this latest cocktail. 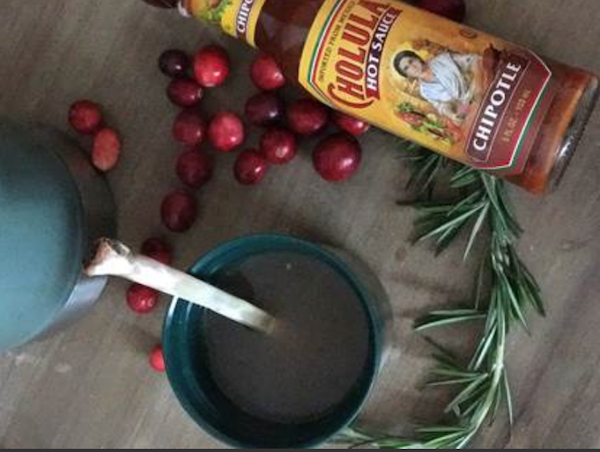 Cholula has made a cocktail called Last Friday in November. Below is the recipe. Enjoy. Combine all ingredients for a rich, hot, spicy, and smoky cocktail that transports in a thermos extremely well. Print article This entry was posted by Art Eddy III on November 21, 2017 at 12:11 pm, and is filed under Lifestyle. Follow any responses to this post through RSS 2.0. Both comments and pings are currently closed.